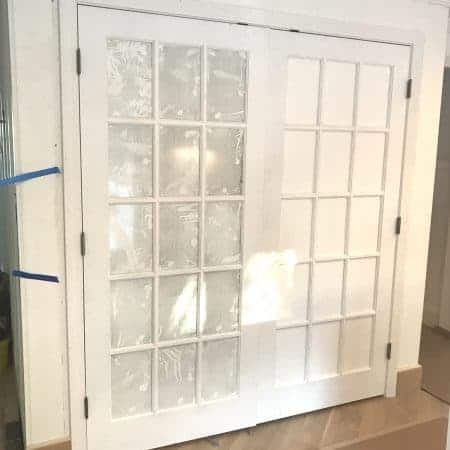 This month I am participating in the $100 Room Challenge and attempting to overhaul our quirky garage mudroom for, yes, under $100. Last week I shared a couple of progress pictures but I haven’t updated you much because WOW has this space been a mess. 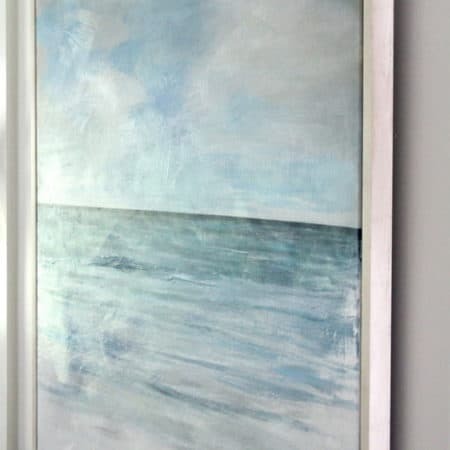 Honestly it kind of kills me to not share any pretty pictures along the way – but that is usually the reality of home improving – the process is not always that pretty!! Next week is the big reveal, so I’m sucking it up and showing you the bad and the ugly, and a teensy bit of the beauty that is emerging from all the rubble. It was cute and the little gift wrap station was timely when my kids were little and it seemed like they were going to classmate’s birthday parties every single week. The problem was that I was trying to have this room serve TOO MANY FUNCTIONS. 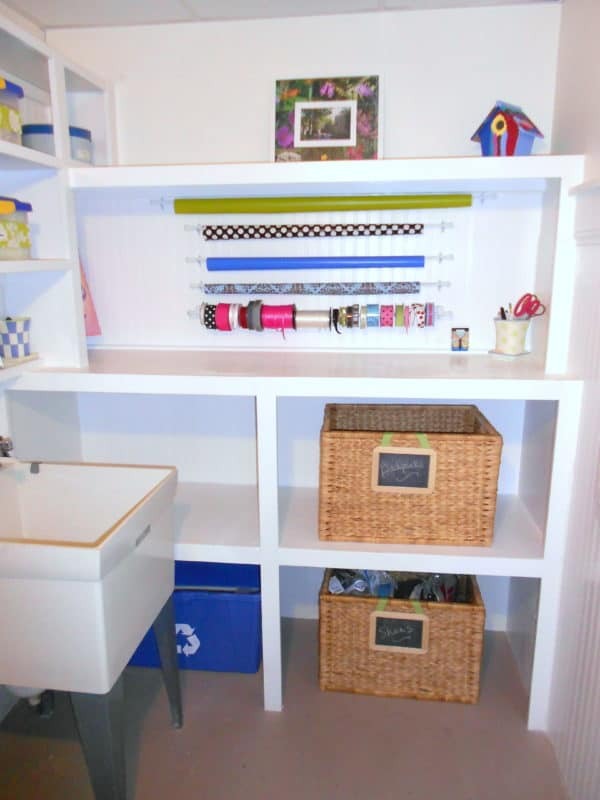 Mudroom – arts & crafts storage – mop & bucket, vacuum, etc. 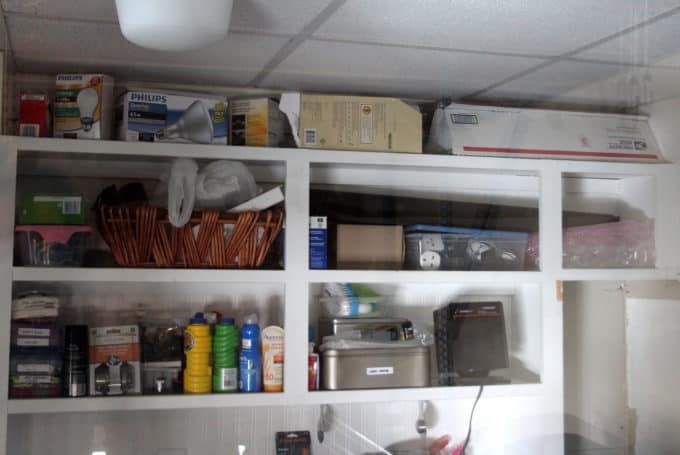 storage – tool storage – and a place for everything that didn’t have a place. Plus the layout of the room was funky. 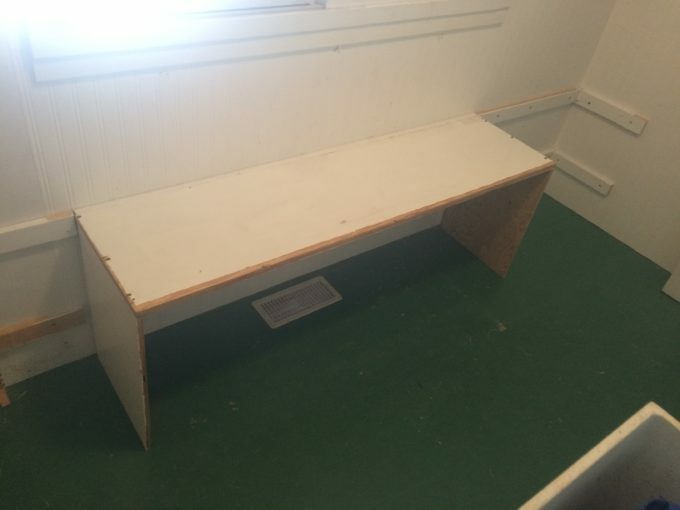 SO – we tore out the shelves…..
….and I am reusing the plywood from those shelves to build a bench with shoe and boot storage. 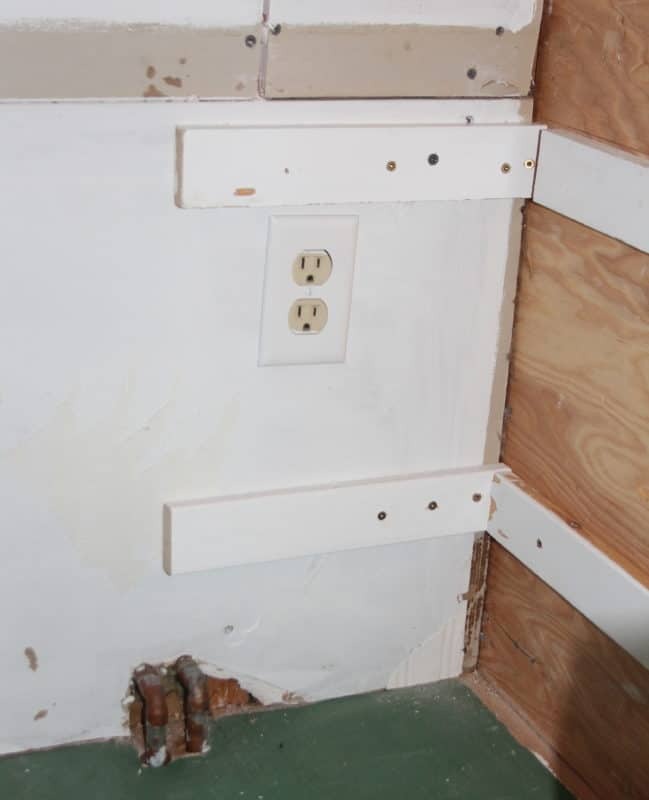 This utility room was pretty much just roughed out when we bought the house, so I have exposed plumbing pipes sticking out of the wall, and an ill-placed outlet to contend with. 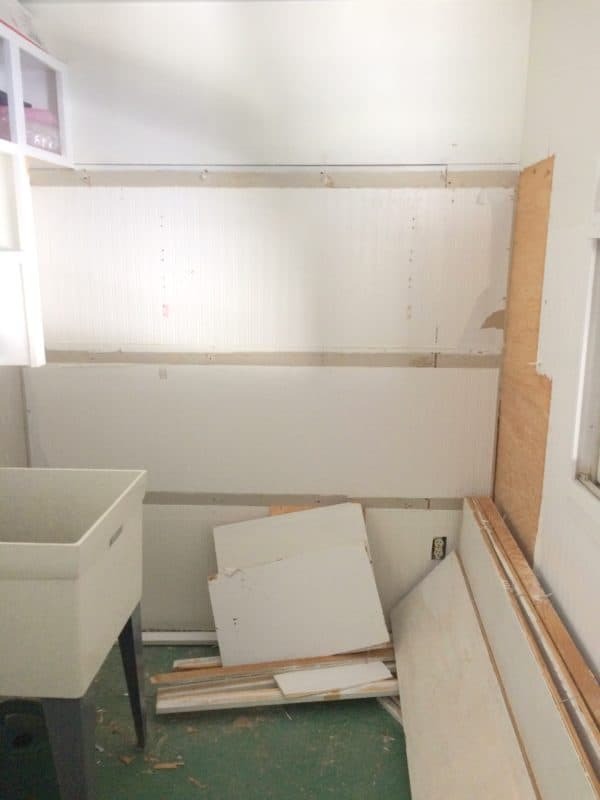 Another issue – 2 of the 4 walls in this room were built with plywood, and the other two are just sheetrocked. Hmmmmm. Not attractive. 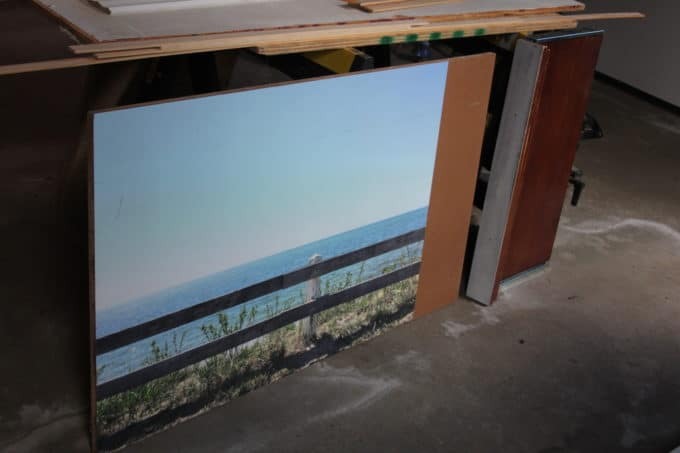 I was going to use some of the plywood from the shelves I removed to build cabinet doors to hide all this mess, but then I came across an art project that had gone awry – this huge photo I mounted to MDF, let’s not talk about why the board is longer than the picture or how I did a terrible job Mod Podging the poster to the board. 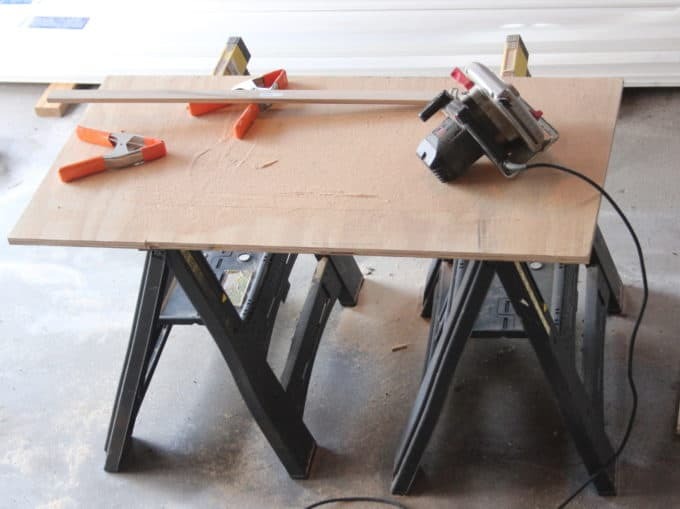 The cast-off MDF board has been sitting in my garage awaiting a new project along with….. 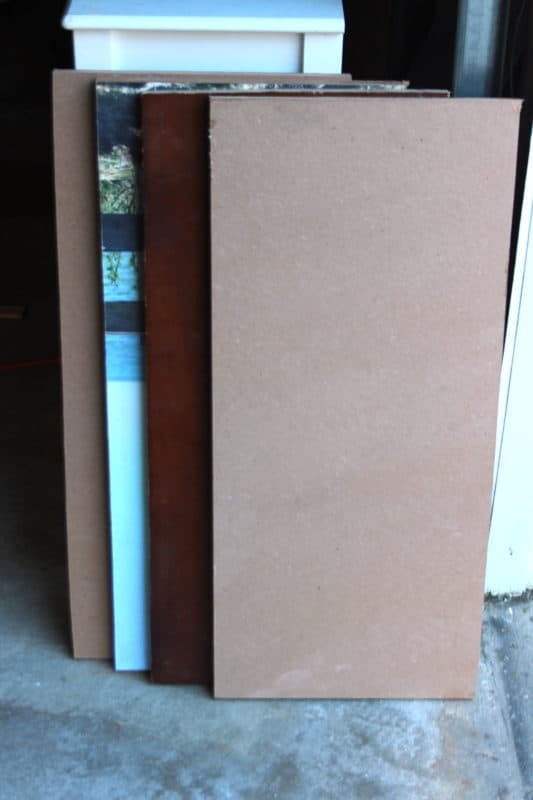 I chopped up the art-project-gone-awry and the keyboard shelf and they will get trimmed out and become cabinet doors. 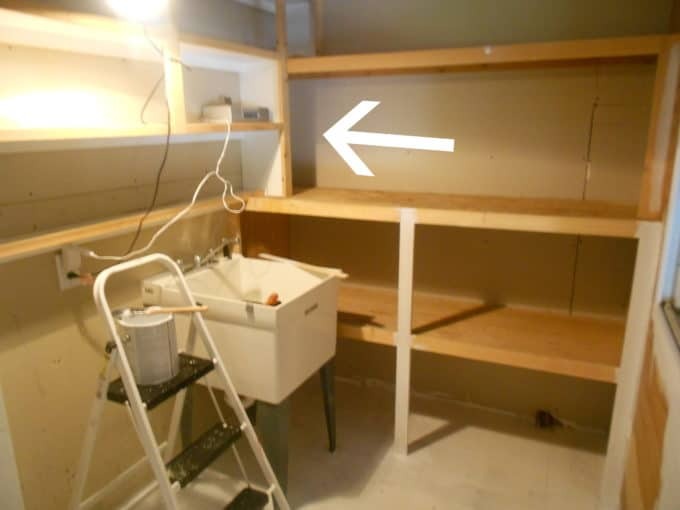 To the right of the sink, the removal of the old shelves left this weird tall space with a shelf above it. 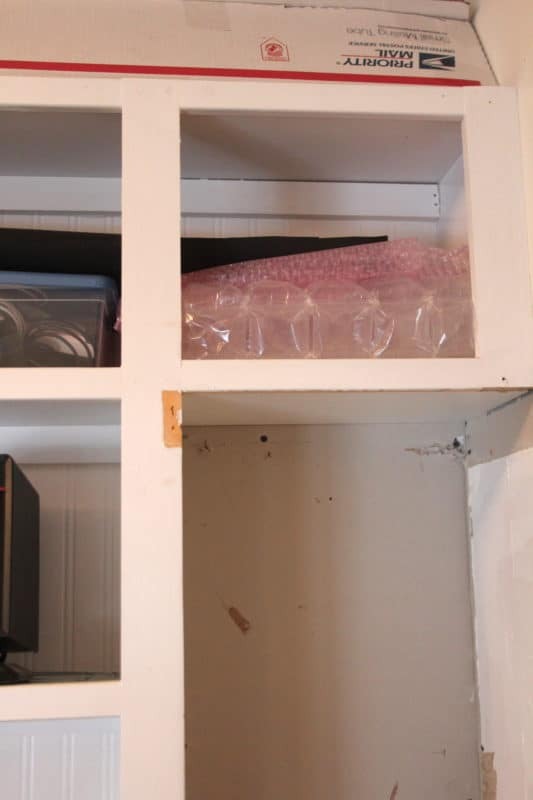 I know it’s hard to envision but it’s this narrow area against the wall, beside the sink. 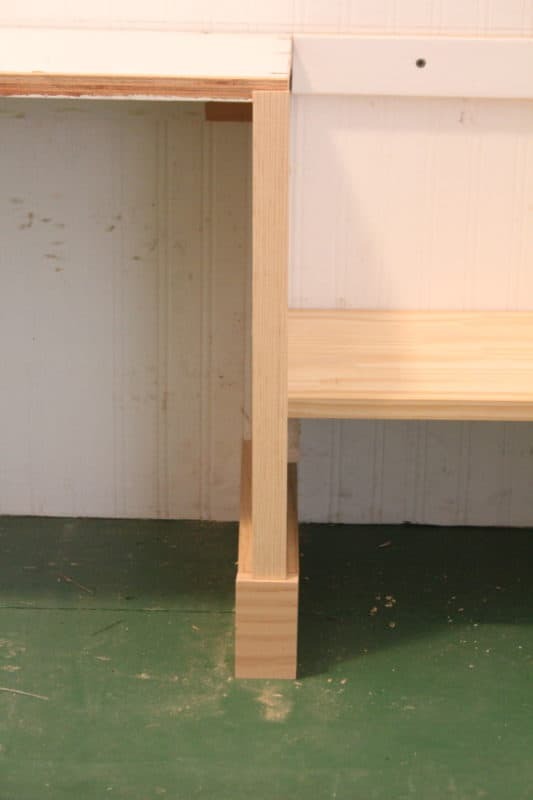 The little shelf above it will get a cabinet door, and the tall open space will become storage for the mop and broom. 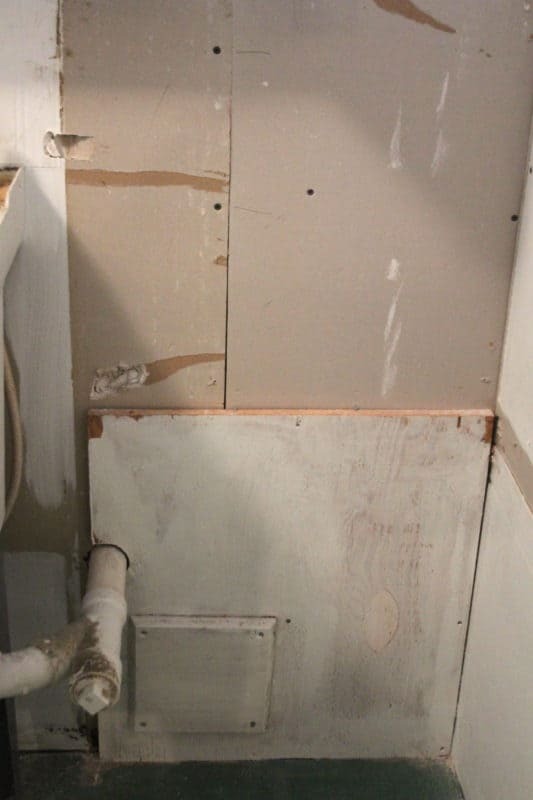 This is what that tall open space looks like – drywall and more plumbing pipes sticking out. Lord help me. Maybe I should have just ripped this whole room down and started from scratch!!!!! 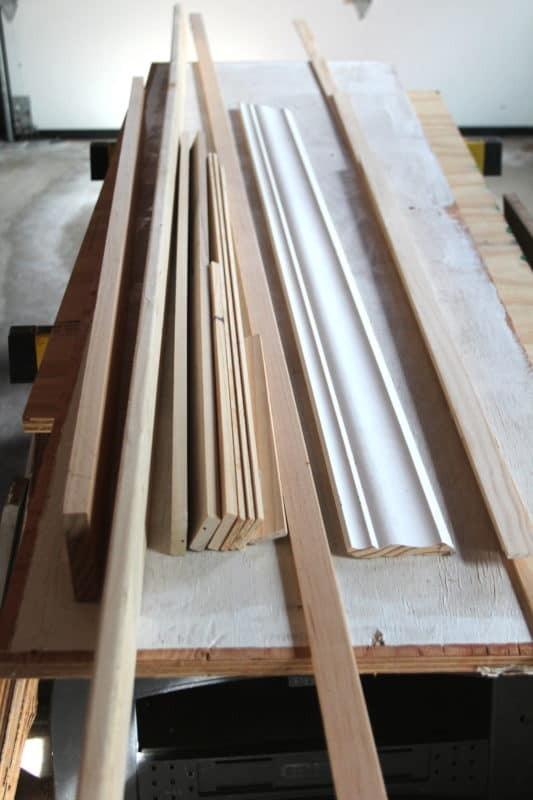 I went through all the wood scraps and leftovers from projects gone by that take up some major real estate in my garage, and tried to figure out what I could use for the mudroom, and I’m getting VERY creative with what I already have to work with. So are your eyeballs hurting from all that craziness and disaster?? Here’s a peek at some of the goodness that is coming into this room!! 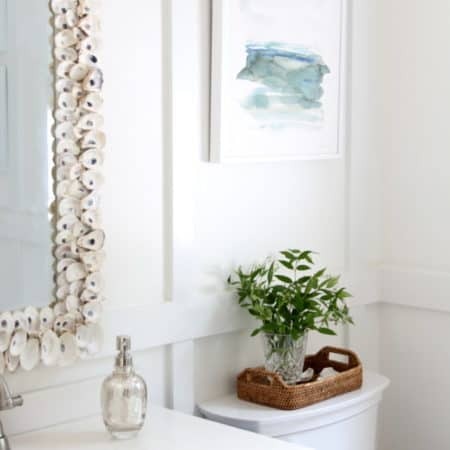 Trim – lots of trim. 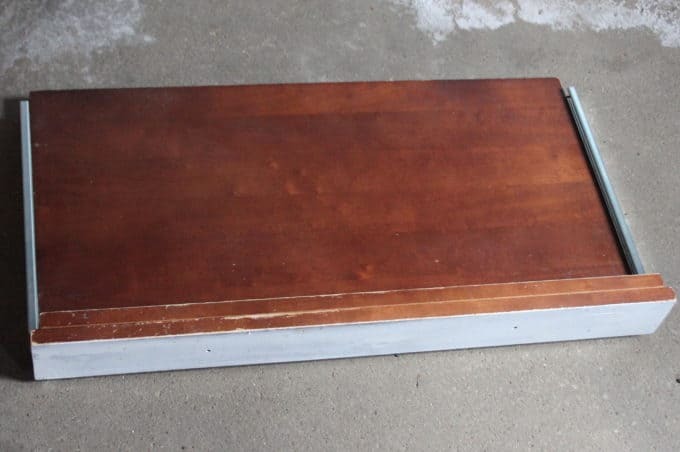 Do you think I’m nuts to try to pull this off by reusing what I already had and upcycling every thing I can get my hands on? Is there any chance I’m actually going to finish this room by next Wednesday??? Hedge your bets people. Come back and visit next Wednesday to see if I pulled it off!! Thanks for visiting and hope you have a great day. Oh I am loving how creative you are being. I know it’s going to look like a million bucks! Thank you so much Katie……I hope I’make the finish line! The stain turned out so beautifully! Thank you – that was the funnest part of this project Brittany! I love seeing how stain takes to a piece of wood! I don’t think you’re crazy…I think you’re brilliant! 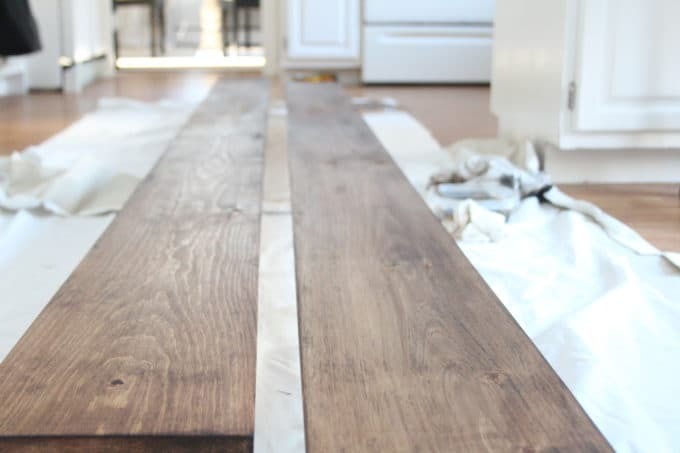 Not only for saving all those wood scraps, but finding a clever way to repurpose them! Good luck, I’m sure this week will be crazy! Can’t wait to see it! My bets are all on you!! You are crazy resourceful and creative, it’s going to be so functional! Thanks for the encouragement my sweet friend! You’re gonna do it, I’m sure! And I hear you about stainning in the kitchen.! There’s still snow everywhere here! Spring they say!!! 😉 Can’t wait to see next week! Natalie we still have a ton of snow too!! Good luck this week! What a great way to recycle! You are so creative! Thanks for the vote of confidence Tracy! Good luck in this last week!! You are so resourceful! I love it! And I cannot wait to see the reveal! I love when I find stuff that I’ve saved, and realize it’s perfect for a project. However, I don’t think my husband loves my stash of stuff though 🙂 You just never know when scraps are going to come in handy 🙂 And I also hear ya on the cold weather. It’s been SO cold in Minnesota as well. Cannot wait for sunshine and warmth. Thank you Carol! 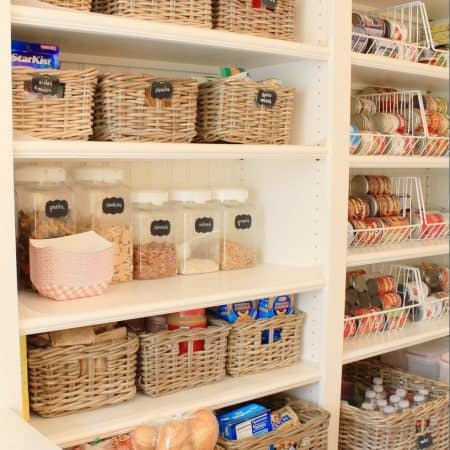 Right now I’m starting to understand why builders find it easier to just gut a space and start over, but it is a good way to stretch the budget!